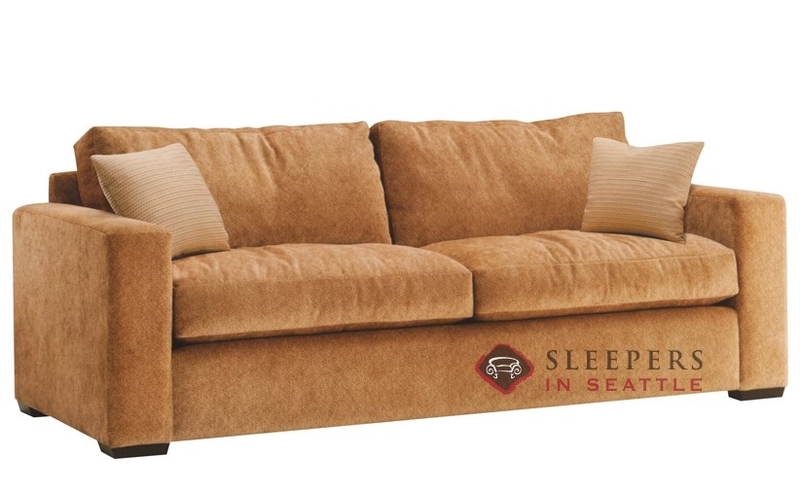 A timeless design, the Sutton Place 2-Cushion Queen Sleeper Sofa by Lazar offers exceptional comfort with a tried and true style. Solid track-arms borders a symmetrical frame, while accent pillows provide the finishing touch. The Sutton is available in upholsteries of all colors, so you can find the perfect color and hand to match the feel of your living space. Choose from over 15 wood finish options in our Sleeper Design Center. 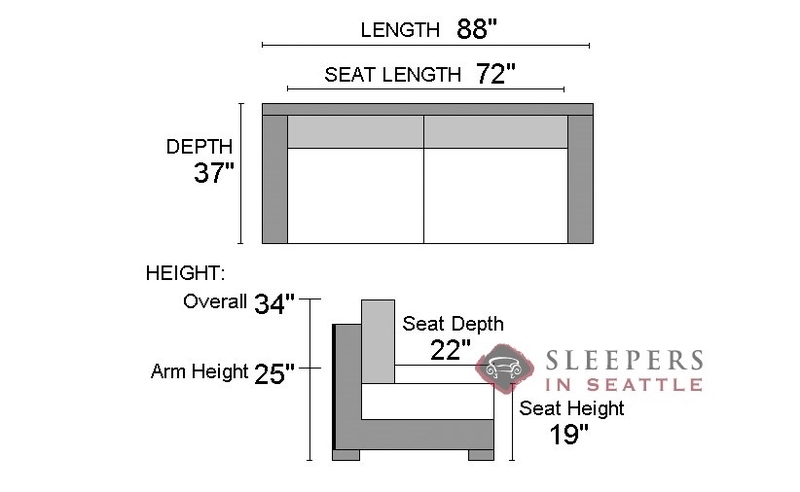 A pretty basic design, but really a quality sleeper sofa. I've had mine for over a year and there is very little evidence of wear and tear. Only downside is the shipping time, took about 7 weeks to arrive. Thanking you for taking the time to look at those pictures of my living room. Haha I'm sure that was an unusual request, but your fabric suggestions were really helpful. The sofa fits perfectly in the room! Thanks again. Hopefully I won't need another sleeper anytime soon, but if I do, now I know where to go. 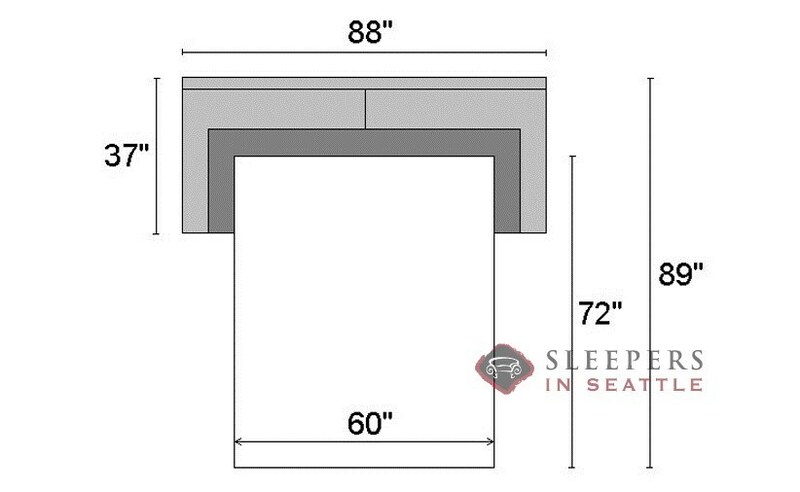 Hi, I'm trying to figure out which color the stock photo for Lazar Industries Sutton Place II 2-Cushion Sleeper (Queen) is in, and I can't seem to find it in the swatches. Also, is there any potential sale coming up? I really like the unit but would love to see it a bit discounted. The main photo shown of the Sutton Place II was taken in a now discontinued fabric. The two most similar current options are Prosuede Dijon and Sherwood Guilded. Get in touch to discuss further!